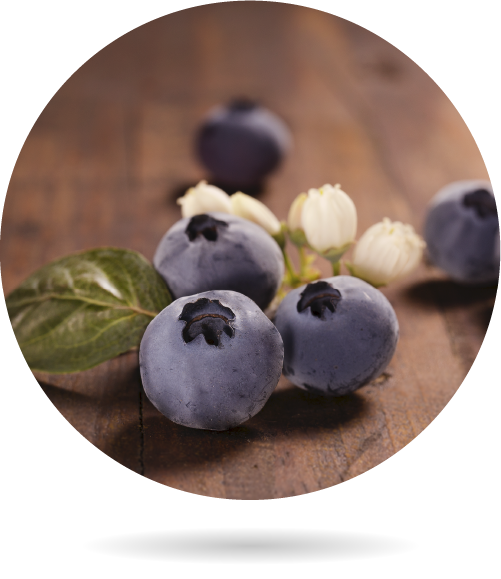 Organic Blueberries are fleshy fruits with a bit of acid taste, bluish-black color and small size, with a “crown” on top. They are ideal for kids since they do not have a bone or seeds and there is no need to peel them so they are really easy to eat and very healthy. Organic Blueberries are rich in K vitamin, C vitamin, Potassium, E vitamin and B6 vitamin. It is widely known that blueberries have antioxidant properties, like most of the berries, they are in the top 3 of foods rich in antioxidants. Among their other characteristics it is worth pointing out their anti-inflammatory action, and can also prevent urinary tract infections. Besides, their large amount of C vitamin inhibits the growth of some bacteria. For these and others reasons the cultivated surface and consumption of blueberries is growing quickly, even as a vitamin / medicinal / nutritional supplement. 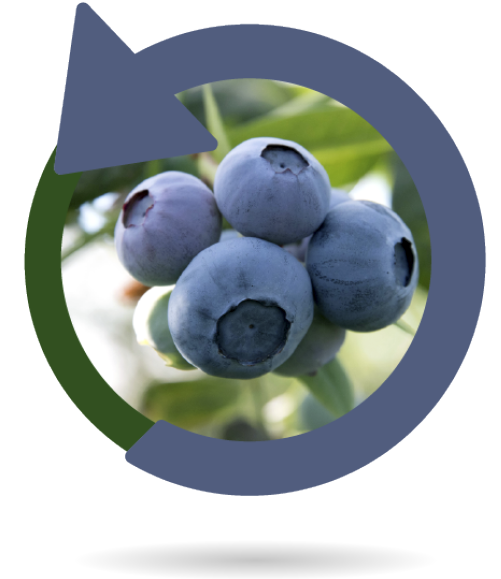 Organic Blueberries have a long shelf life that makes them easy to export. At Bionest we offer several varieties of these wonderful berries throughout the year striving to provide fruits of great flavor and good size. The enclave where we are located counts on a unique climate that helps us to develop our strawberry, raspberry, blueberry and blackberry crops during most of the year. Blueberry crops require rather acid soils (between 4.3 Ph and 5 Ph of acidity) with good drainage and abundant organic matter that retains moisture, besides they also need to be protected from strong winds. Against Aphids: aphidius colemani, small parasitoid wasp of several aphid species. Aphelinus abdominalis, aphid parasitoid wasp. Against the cotonet: cryptolaemus montrouzieri, coccinellid cochineal predator coleopter. Anagyrus pseudococci, small parasitic wasp of cochineal. 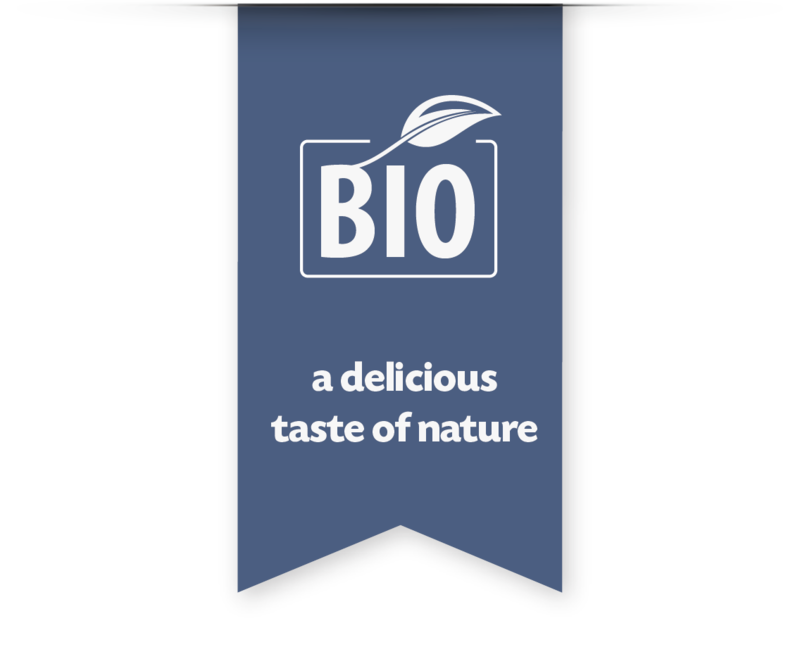 Bionest complies with the most demanding standards of production, distribution and commercialization for organic food. These are continuously reviewed being forced to adapt continuously to the changes in ecological certification. Our facilities are periodically audited in order to obtain the best and most respected seals European Regulation (EEC), BRC Global Standard for Food Safety, Bio Suisse, Global G.A.P., CAAE. Our organic culture, based on sustainable agricultural techniques, is a guarantee for the future. We make great emphasis on the sustainable management of soil, the efficient use of water, the correct treatment of wastes and the control of biodiversity. In our Blog, you can find some articles where you can find more information on these matters. Bionest supplies its organic production to the main European supermarkets; this implies that we must be certified by the main organism of control for quality standards, food safety and both social and environmental ethic. Bionest Quality, Environment and Food Hygiene department guarantees the traceability and quality of the product. No matter how far our berries travel, or how many processes are submitted before reaching the final customer: using an identification system that gives us global information at all times we will have proof of the path that our product has followed since its origin in our farms to its final destination in supermarkets in Germany or Switzerland. Traceability. 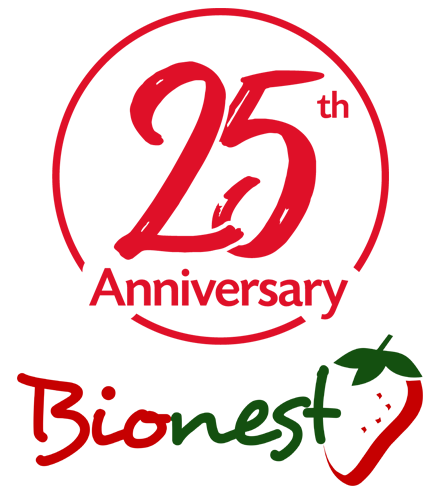 In this first part of the process, the trace refers to all the products or suppliers that come into play when helping to produce our fruit. For example, when a supplier provides us with a type of ecological fertilizer that we do not produce internally, we request data and certifications to help manage any possible risk quickly and easily. Traceability “forward”. Once the product leaves our facilities, we follow the track monitoring who, how, when and where it is distributed. Before any possible problem, in a matter of minutes we can trace the path. After decades of experience in the sector, we currently have a very large planning capacity, with very flexible delivery times that adapt to the demands of all customers in terms of packaging or collection. 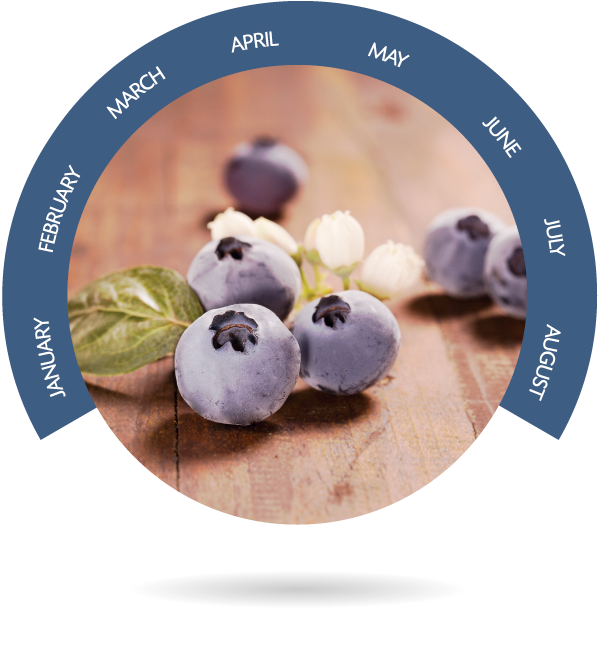 The production of blueberries in the Iberian Peninsula extends from January to August, so that this healthy berry native to North America is available practically all year round. We are therefore able to send our blueberries practically anywhere in Europe within 48 to 72 hours, a rhythm of supply that is highly valued by our customers. Our main customers (several supermarket chains in Spain and Europe) demand a very high variety of packaging, weights, materials and presentations for our products. Even within the sales of organic products, plastic packagings are still the largest volume of demand, especially for Berries. We have developed “bulk” packaging for soft fruits with 1kg carton boxes and recently 500gr, so we also reduce the amount of cardboard used. Nowadays it is still a residual sale, creating a lot of interest but little demand. Tailor-made personalization of the punnets and boxes is one of the ways that have been successful in recent years when meeting the branding needs of many large stores. For more information please contact us and we will send you our catalog.